We had so much fun, and laughed real hard, … and she didn't get any on her skirt! Bravo! What is your favorite taste? 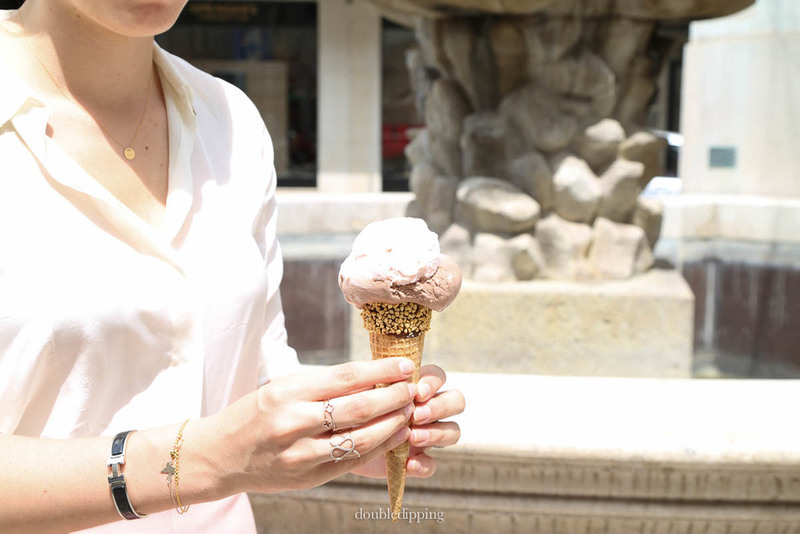 In Vienna everyone has their favorite ice parlor and would never be unfaithful and buy ice-cream anywhere else. We are obsessed with Mozart and Strawberry-Yoghurt at Hoher Markt. Christian would only buy Grapefruit and my mom loves Schwedenplatz.